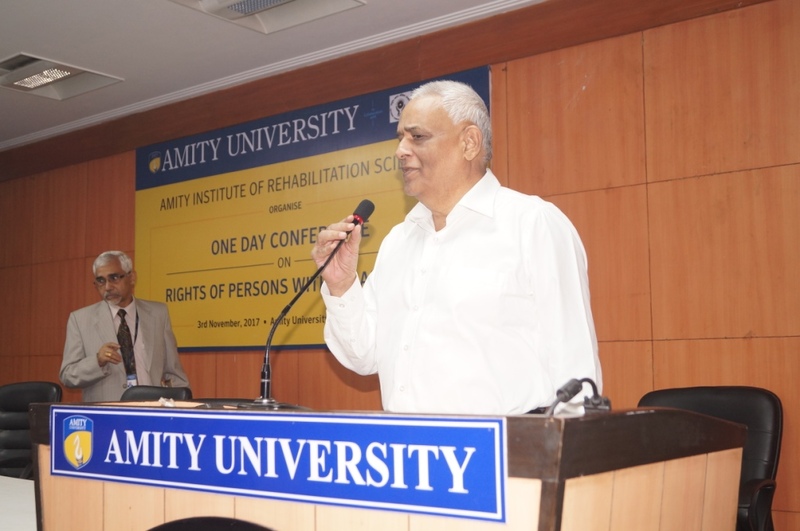 Noida: Amity Institute of Rehabilitation Sciences in collaboration with National Human Rights Commission organized one day Conference on ‘Rights of Persons with Disabilities’ at Amity University sector 125 Noida. Presenting talk on Human Rights and Persons with Disabilities, Shri Prasanna Kumar Pincha, Former Chief Commissioner for Persons with Disabilities, Govt. of India & Special Rapporteur, NHRC said that it is not right to equate one’s disability with a person’s ability to perform. He mentioned that if a disable person is provided with adequate and proper training, education and equal opportunities, every disable person is capable of becoming an agent of change. He further added that disability is neither a charity nor medical issue; it is a development and human rights issue. Mr. Pincha stressed on the need to recognize the fundamental normality of every individual including persons with disability. One should refer a person with disability as disable, only in situations or places where it is necessary and relevant. He shared that social, cultural and economic rights of persons of disability have to be recognized progressively while civil and political rights have to be made available forthwith. It is important to realize that mainstream Human Rights instruments i.e Human Rights Bills are also applicable to people with disability in equal measure. 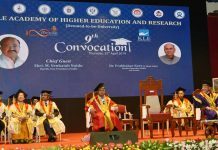 Addressing the gathering, Prof. (Dr.) Jayanti Pujari, Professor & Director, Amity Institute of Rehabilitation Sciences said that the conference aims to orient the budding professionals about the rights of people with disability and challenges faced by them such as skilling and employment. She stressed upon proper rehabilitation of persons with disabilities and pointed that it is important include them in the mainstream. Ms. Pallavi Chauhan, Joint Director, Amity Institute of Rehabilitation Science was also present during the occasion. During the conference, numerous keynote speakers presented talk on various topics including The Rights of Persons with Disabilities Act 2016 (RPwD) by Dr. JP Singh , Chairman , AFDD & Former Member Secretory, RCI, Govt. of India, New Delhi; Rights of Persons with Disabilities: Right to Privacy, Right to Marriage & Right to Vote by Dr. Mousumi Bhaumik, Lecturer, National Institute for Persons with Intellectual Disabilities, Noida and Rights of Persons with Disabilities: Work & Employment of PwD by Mr. Anup K. Srivastava, CEO, Skill Council for Persons with Disability.